After North failed to reach the main event at Katowice, the CS:GO world started criticizing the format of the competition. People mostly were saying that first match should also be Best of 3, instead of Best of 1. However, HLTV analyst and former Renegades player, SPUNJ thinks different. CS:GO fans had an opportunity to watch another episode of HLTV on their Twitch channel. Four HLTV analysts talked about different topics such as ELEAGUE, Katowice Minors, promising players, and so on. Professeur_CS, BanKs Esports, Striker, and SPUNJ also said a couple of words about North surprising failure to get to the main event at IEM Katowice. They commented on ideas that CS:GO tournaments should change their format and especially change the way the initial matches are played. According to words of propagators of that idea, that is the main reason for North’s failure. Furthermore, they pointed out North’s loss as proof for their claims. There was not much time needed in order for people to accept this idea. Suddenly, that became self-evident for them. Therefore, they started asking for some kind of revolution in CS:GO Esports. However, SPUNJ had a different opinion. SPUNJ immediately stood up for the current system. The main point of people who wants to change the format was that Best of 1 matches are kind of a lottery because any team can lose it, or win it easily, even though they are better or worse. So, it’s totally unfair that a strong team like North not to advance to the main event, only because they were unlucky in initial match. However, SPUNJ instantly rebutted that claim. He said the only culprit for the North’s failure was North themselves. He agreed that North is coming from another league. As he says, none of the other three teams shouldn’t have stood a chance against North. In order to present the difference between North and other three teams, he used an interesting comparison. He said if North is on the Earth, other teams are somewhere in a different Galaxy. But also, SPUNJ says that it was up to North to prove that, which they failed to do. SPUNJ pointed out North’s decision to play on Inferno instead of Train as a crucial mistake for their loss in the opening match. But still, North had an opportunity to prove they are the best team in remaining two Best of 3 matches. But North didn’t manage to do so. 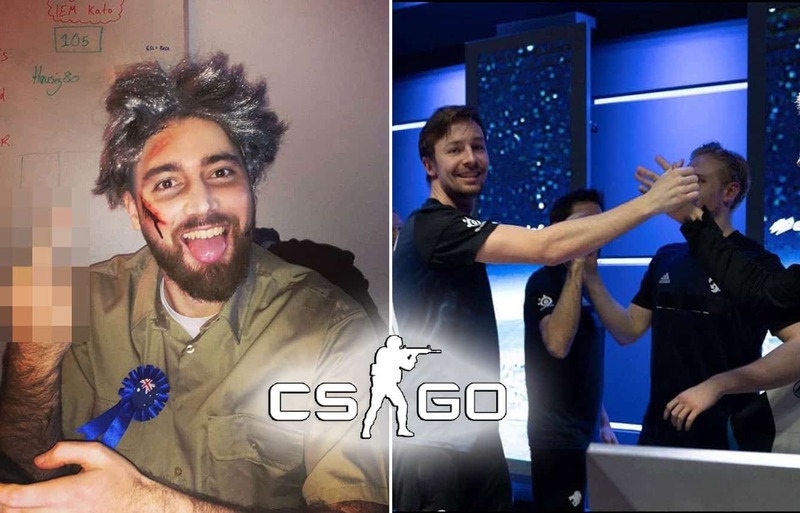 Therefore, SPUNJ thinks that North is the only one to blame for their failure. They had so many chances to get to IEM Katowice, and they wasted them all. In order to show us how ridiculous are those statements about eliminating Best of 1 matches, SPUNJ used sarcasm. He said that European teams maybe should play the whole month to get what they want, because “they are the best”. That was really harsh coming from SPUNJ, but he just used logic here.